This historic tour will follow the royal family of bourbon, the Beams. Since the early days of distilling by Jacob Beam, his family has been involved in producing bourbon at most of the large distilleries in the state. You'll follow the lineage of the Beams from Jacob to the present day. On this tour, you'll visit historic sites associated with the Beams. This tour will include a tour and tasting at Heaven Hill Distillery (Joseph L. Beam), a tasting and tour at Limestone Branch (descendants of Minor Case Beam) and a tasting and tour at the Jim Beam American Stillhouse (Jim Beam). 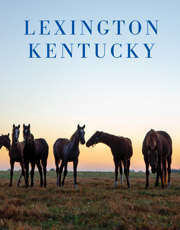 Pickup can be at the Lexington Visitors Center or The Distillery District for the drive to Bardstown. The tour is approximately 7-8 hours long with a moderate amount of walking. Water and snacks will be provided. Lunch is also provided as well. Price icludes tours and tastings at Heaven Hill Distillery Limestone Branch Distillery and Jim Beam American Stillhouse.